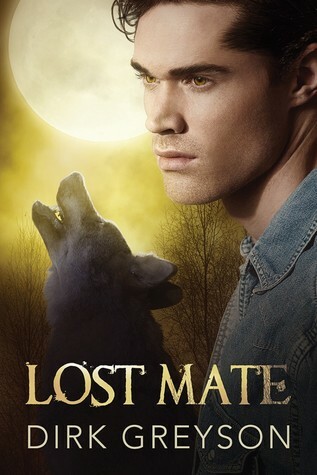 Wolf shifter Falco Gladstone knew Carter McCloud was his mate when they were in seventh grade, but school and the foster care system tore them apart. Years later, Falco is second in command of his Michigan pack, serving under an uncle who cares more about his own power than the welfare of their people. The alpha orders Falco to marry and produce offspring—but Falco’s already found his mate, and mates are forever. Carter’s lonely life is turned upside down when he detects a familiar scent on the wind. The mates might have found each other, but their happily ever after is far from guaranteed. Falco’s commitment to Carter puts him at odds with his uncle’s plans, and when one of the alpha’s enforcers starts shadowing the couple, something must be done—something that will either cement their relationship or destroy it once and for all. This is a fast sweet read. The book starts with Falco coming to the aide of Carter, his mate. Falco is just 13 years-old, and his senses are more developed than other wolfs of his age. But there is no time to build a bond because as sudden Carter appeared just as suddenly, he disappeared. 13 or so years later, Falco was hit by the same sweet smell of is mate. Carter, his name is the only thing Falco knows about his mate, seems to be a wolf too. But there are obstacles for them to be together. His alpha who is Falco’s uncle is homophobic, and he just challenged the previous alpha and won, for being gay. Falco needs to choose between claiming his mate and his pack. The pack needs his help because his uncle seems to care about his power more than the welfare of the pack. Carter is the owner of a pet shop. He inherited the place from his aunt, and now he is back. One day, after he finishes his work, he caught a smell like never before. But the guy from whom the smell is coming from looks like his abusive ex. So, when his mate shows up in his store the next day, he hesitates. This book is an easy read, with some angst. I would have liked that the story would be a bit longer because it has so much potential.